Why settle for a mere 300 Watt antenna tuner when a few extra dollars lets you add real power when youre ready? The MFJ-962D lets you use your barefoot rig now. When youre ready . . you can add a powerhouse linear amplifier at no additional cost. 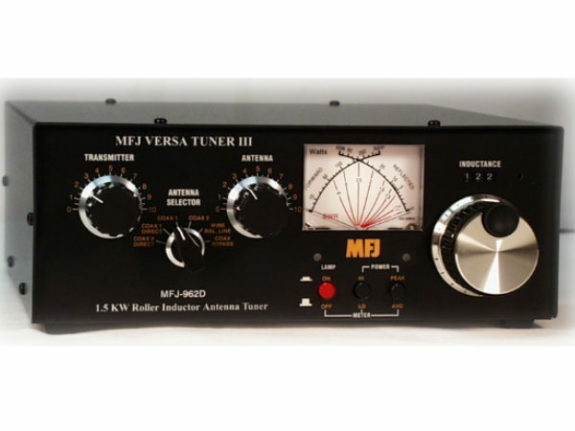 The compact MFJ-962D handles 1500 Watts PEP SSB amplifier input power (800 Watts PEP SSB amplifier output power). Its perfect for Ameritrons best selling 800 Watt AL-811H or 600 Watt AL-811 amplifiers! 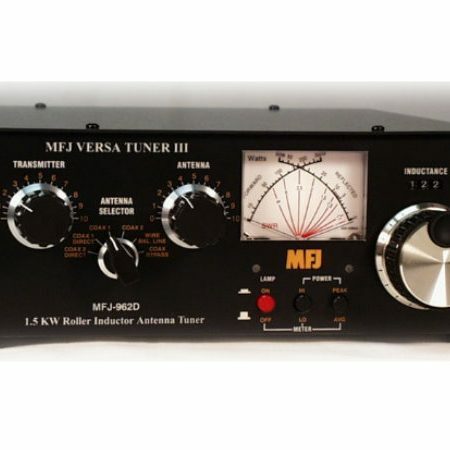 MFJ-962D is new and improved! New features include MFJs AirCore Roller Inductor, new aluminum-skirted knob set including a weighted deluxe spinner knob, ultra compact size (10.75 x 4 x 10.875 inches) and scratch-proof multi-colored Lexan front panel. Two transmitting tuning capacitors and MFJs exclusive AirCore roller inductor gives you precise control to get your SWR down to an absolute minimum. You get an extremely wide matching range from 1.8 to 30 MHz continuously including MARS and WARC bands. MFJs AirCore roller inductor has an air core that cant burn up. You get ultra high-Q, low loss and MFJs exclusive Self-Resonance Killer that eliminates damaging self-resonances. MFJs lighted peak and average reading Cross-Needle SWR/Wattmeter makes tuning quick and easy. At one glance you can read SWR, forward and reflected power in two power ranges. Meter light uses 12 VDC or 110 VAC with MFJ-1312D. A 6-position ceramic antenna switch lets you select 2 coax lines (direct or through tuner), random wire and balanced lines. You get a heavy duty MFJ TrueCurrentBalun for balanced lines. High-voltage ceramic feedthru insulators let you operate high power into balanced feedlines.